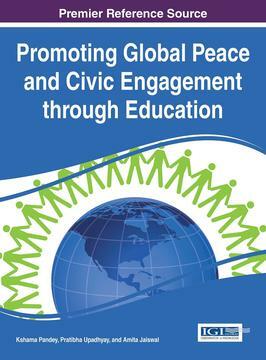 Until you see the Global Peace sparkle. 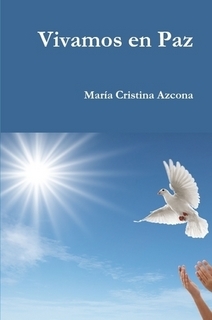 MARIA CRISTINA AZCONA - En la época en que nos toca vivir, se plantea, como un reto a la fuerza de voluntad a la inteligencia y al carácter, avanzar en medio de tanta anomalía hacia el logro de la felicidad personal, matrimonial y familiar. A nivel global, la paz es posible si se comienza por educar a los niños de todas las culturas en este sentido. Los que ya somos adultos estamos inmersos en demasía en un entorno violento, al que lamentablemente ya nos hemos habituado. Pero la educación sigue siendo un remedio infalible para propender al logro de un hábitat más pacífico en el que nuestros hijos y nietos puedan crecer....Pero la educación no es igual en las diferentes culturas....¿Es la vida un valor primordial en algunas culturas y no en otras? ¿No es acaso un bien que tendría que ser universal, más allá de las diferencias culturales? 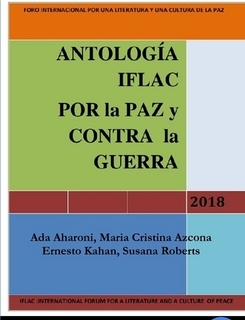 A nivel internacional, el arte literario bilingüe parece ser el camino más directo hacia lograr la armonización de los pueblos entre sí. 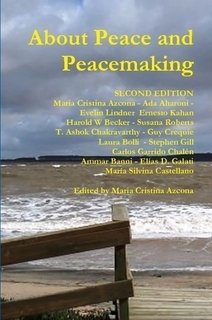 MARIA CRISTINA AZCONA - SECOND EDITION - This is a compilation of peace articles by famous writers and philosophers specialized in peace building matters and a summary of their respective point of view. Twelve writers, twelve minds, twelve styles but only one obsession: To resolve the dilemma of war, social violence and the preservation of human life. 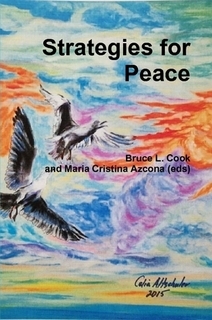 Love, life, humanity, serenity of thought, familiar peace and other meanings around the need of a change in this crazy, violent and self destructive civilization, are some of the topics in these essays. 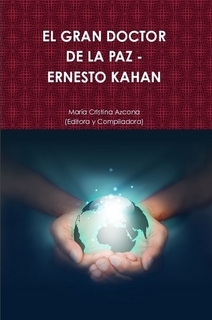 Peace is possible especially through literature as we explain in the book but also through the education of respect to human dignity… Take a tour on our proposal of solutions to this severe illness that is causing the decadence and perhaps death of our blue planet Earth. 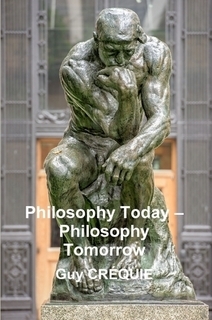 Read and think on your own point of view and rethink this book upon your vision. That is our dream. We cannot wait, we want to read your own creative opinion. 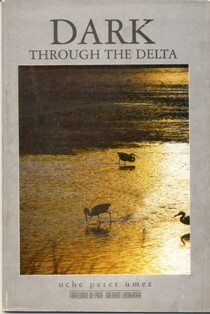 GUY CRÉQUIE - In this book the author proclaims the beauty and variety of our planet. His promenade includes verbal paths of nature, humanity, culture, love, war, violence, terrorism, peace and human diversity. He has poetized the many places he has traveled and invited his readers to accompany him as a UNESCO messenger and opera singer throughout the world for five decades. He dissects the evolution of the present world and its rise of populism and fanaticism which has caused death and sorrow and destructive war. He anticipates the need for a rebirthed humanity, awakened by education and social awareness, based on values that promote peace and harmony. 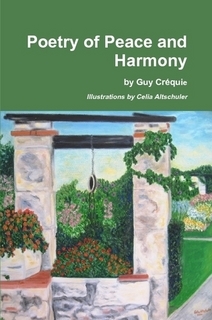 Here we find an artist, Guy Créquie, an inveterate philosopher, who has something vital to say to mankind through his poetry and who also has gifted the book musical links to his memorable with his musical opera tunes. 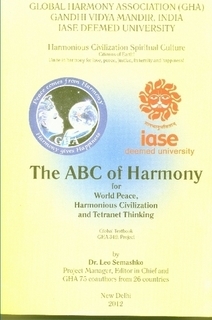 DR. LEO SEMASHKO et. al. 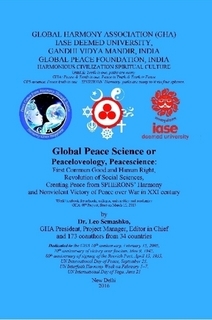 - Global Peace Science (GPS) is the first in history the science of world peace, after more than two centuries of the birth of military science in the Adam Bülow’s book in 1799. The GPS cognitive result is the first scientific extremely laconic formula of peace: “peace from harmony of SPHERONS through science”, which determines a source, social actors and main way of global peace. 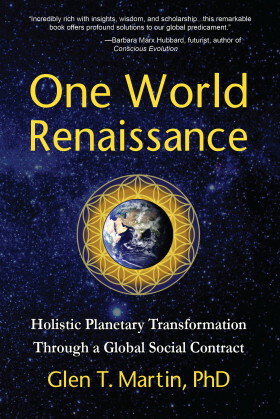 The objective grounds and numerous details of this formula are disclosed in the book 13 chapters in different dimensions: social, philosophical, historical, structural, functional, political, economic, personal, educational, psychological, legal and others. GUY CRÉQUIE - Whenever Guy Créquie, a recognized writer and philosopher, makes a publication like the present one, it always generates a great expectation among the audience. His permanent updating of the global policy and social issues, along with his philosophical knowledge, since the French Revolution of 1789 to the present, makes a perfect combination for the interpretation of current problems and dilemmas. LIDA SHERAFATMAND. 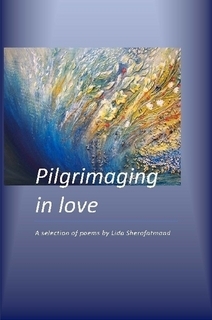 Lida Sherafatmand is known as a painter, but over the years her poetry has been published in several anthologies and books. Born in 1977 in Iran (the old Persia), she experienced a childhood during war time under the newly formed regime of the 1979 revolution. Her birth city, Khorramshahr was completely destroyed in the bombardments at the beginning of the Iran-Iraq war of the 1980's. At the age of 15 Lida discovered the Universal Declaration of Human Rights through Amnesty International, and she saw this declaration like an opening door to a more humane world, where people can be respected regardless their nationality or culture. Her paintings focused on human rights issues were published by major bodies such as Amnesty International, UN, UNESCO, and many non-governmental organisations. 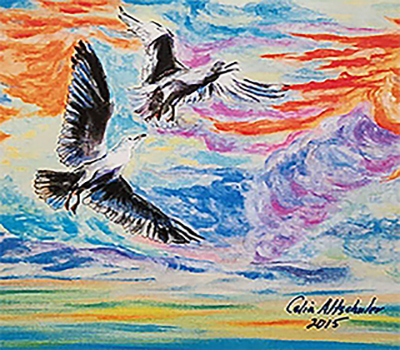 Her more recent art works appear on numerous art and cultural journals internationally. Lida is based in Malta. 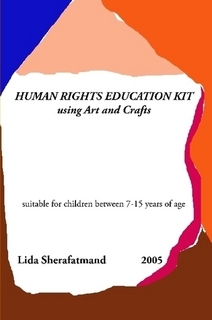 LIDA SHERAFATMAND - Teaching Human Rights using Art provides an enjoyable means of learning for children. Art can be a particularly effective means for teaching children who are in difficult social situations where self-expression has been suppressed. Therefore, in this kit self- expression will help the child understand his or her existence as an individual and consequently the rights that belong to him or her within the human community. The articles taught in this kit are from the United Nations' Universal Declaration of Human Rights, 1948. Islamic series from S. M. Zakir Hussain, Bangladesh.